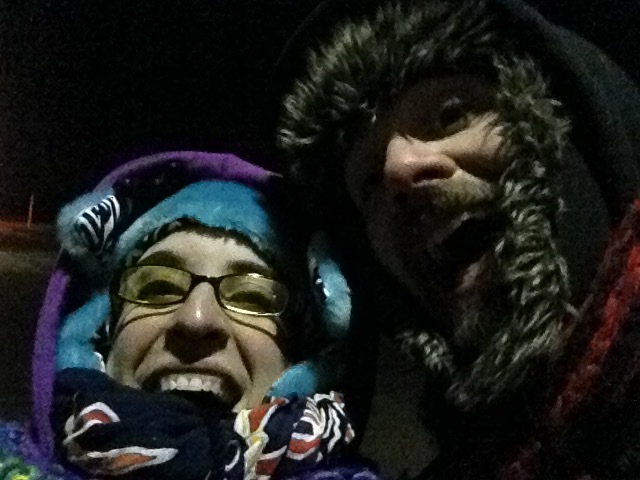 Ben and I were on the beach last night when the clock struck midnight. It was cold, but the stars were shining bright and the moon was smiling at us. People set off fireworks and a group of people walked by with glasses of champagne. I said happy new year to the stars and they twinkled their old light in return. Ben and I talked about how the universe didn’t care that it was the new year. An arbitrary Wednesday night, cold and dark. It’s important for us to have these times though, when we can call out to other people on the street and wish them well. When we can think that we get a fresh start, a rejuvenation. It’s good for us to look back and remember what was great and what was hard and then turn ourselves to the future. It’s good to believe in new beginnings. Happy New Year to the stars and to everyone else because, arbitrary or not, it’s good to start fresh every once in awhile. While you were watching twinkling stars i was fast asleep in my own bed. New years day is a great day to set new intentions and I’ve set a couple—the majors ones having to do with lessening the amount of time I waste on Facebook and SimCity Buildit and increasing my writing/creative time. Looking forward to seeing you guys soon! Hugs and happy new years! !